MAE SAI — The latest on the search for 12 boys and their soccer coach in a cave in northern Thailand. A Thai provincial governor says the 13 people who had been missing for more than a week have all had an “informal” medical evaluation inside the cave and most are stable and none are in critical condition. Chiang Rai governor Narongsak Osatanakorn said Tuesday morning that they used a field assessment in which red is critical condition, yellow is serious and green is stable. The 12 boys and their coach were found late Monday still in the cave and it is not known when they will be able to leave due to flooding and other factors. A leading American cave rescue expert says many challenges are ahead for rescue divers in Thailand. Anmar Mirza, the US National Cave Rescue Commission coordinator, says the primary decision is now one of whether to try to evacuate them or to supply them in place. 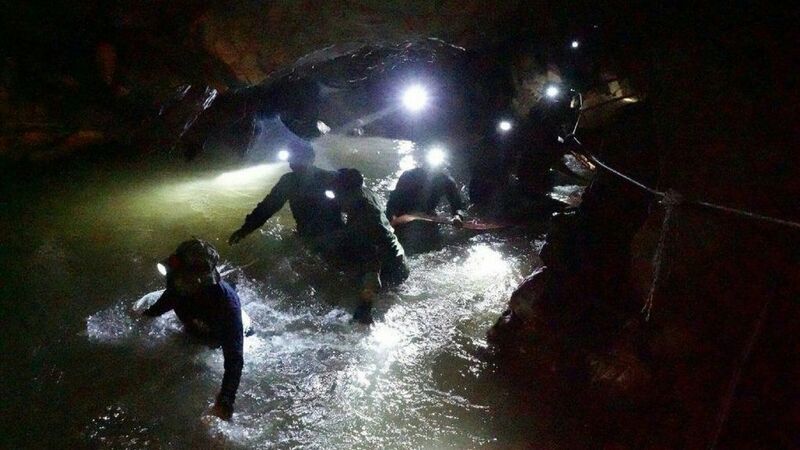 Rescuers located the boys, aged 11 to 16, and their 25-year-old coach alive deep inside the partially flooded cave in northern Thailand late Monday. They disappeared when flooding trapped them after entering the cave on June 23. Thailand’s prime minister has thanked international experts and rescuers who helped find the boys and their coach. England World Cup football. England wanted to win – really?